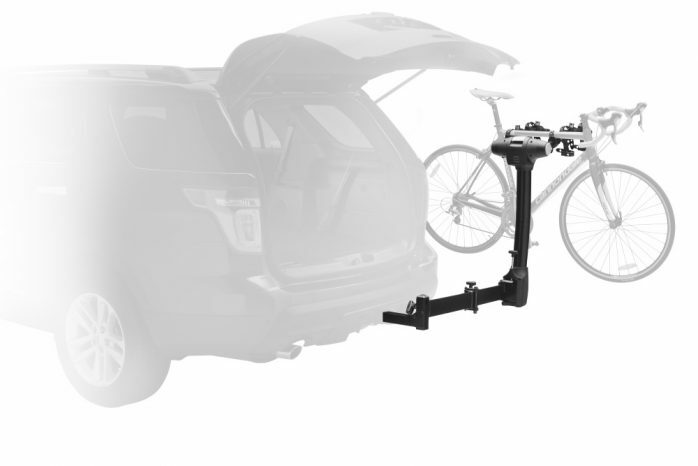 This new hitch rack’s unique arc design makes it easier to load and unload, provides better ground clearance and gives you greater distance between your bikes for easy transport. 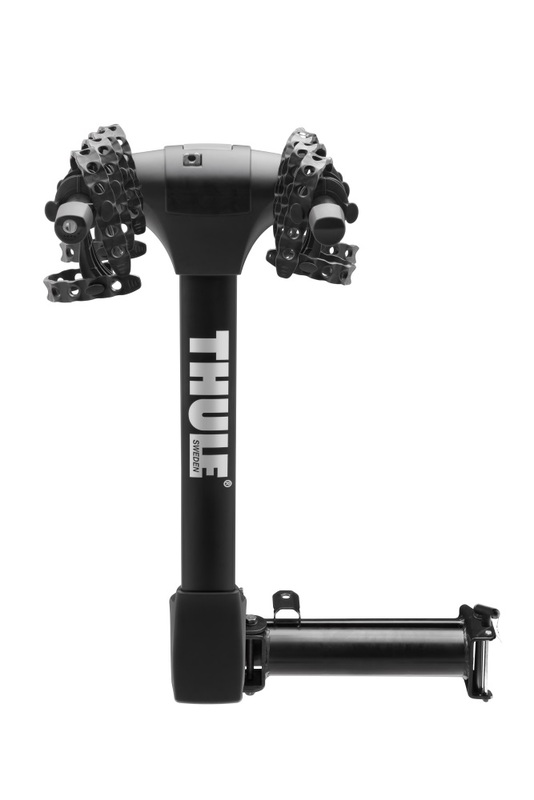 With a limited lifetime warranty Thule is dedicated to providing exceptional products that are quality tested and guaranteed against defects in materials and workmanship. Increased mast height for improved ground clearance. 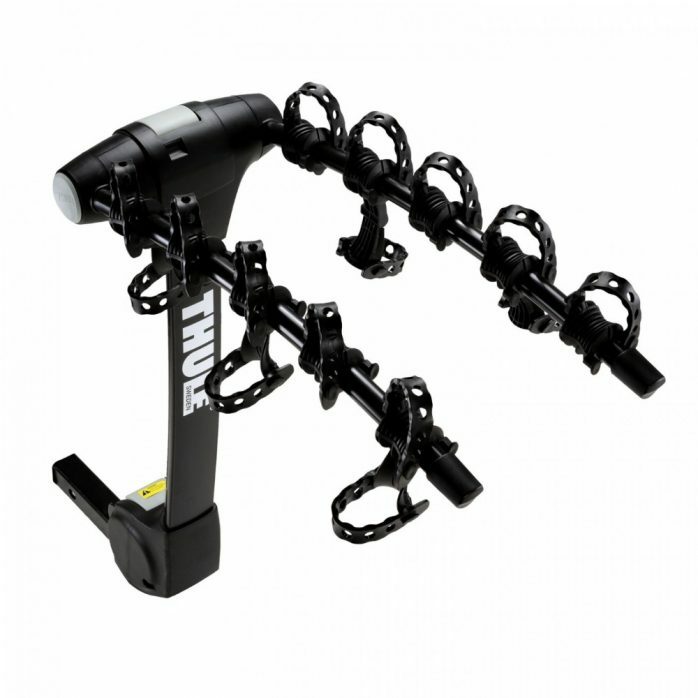 Hold Fast Cradles cushion bike and provide maximum bike security. 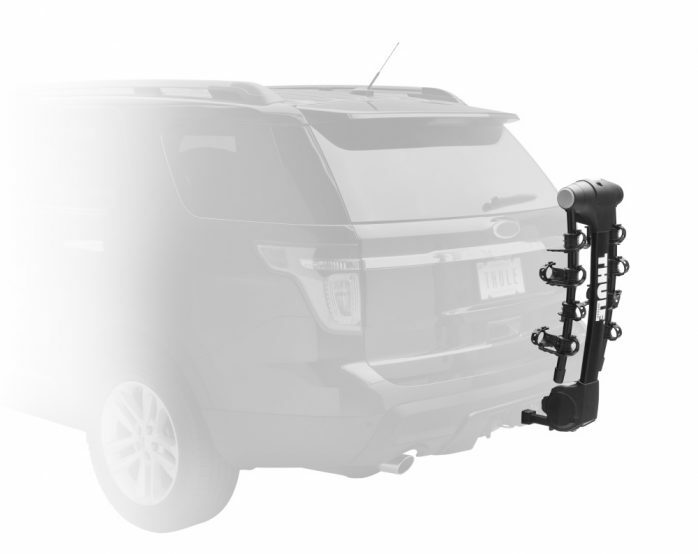 Snug-Tite receiver lock (STL2, sold separately) virtually eliminates hitch rack movement in receiver and locks the hitch rack to the vehicle. 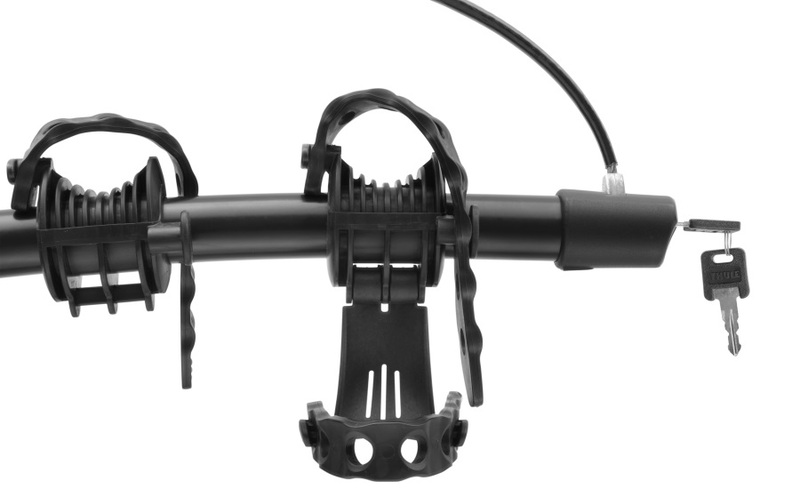 5 bike (9030) & Swing (9031XT) fits 2″/50mm receivers only. 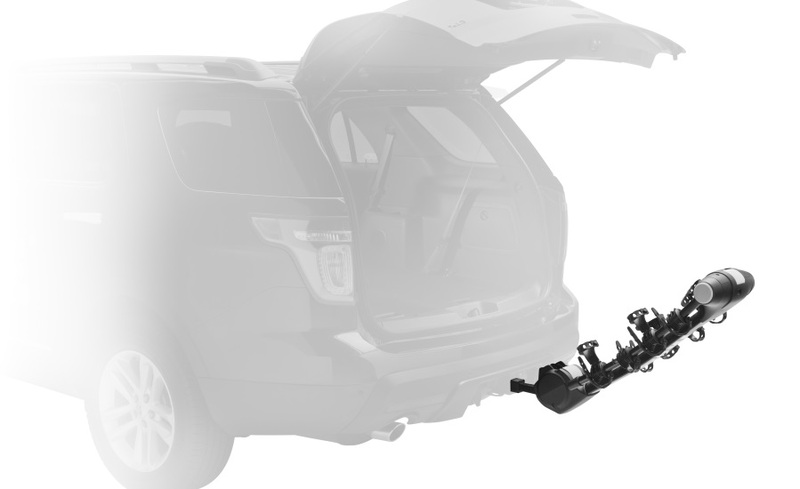 New and improved Hitch Switch folds arms down when not in use and tilts carrier away from vehicle for trunk, hatch or tailgate access. Anti-Sway Cages prevent bike-to-bike and bike-to-vehicle contact. Our largest carrying assortment available: 2 bike (9028), 4 bike (9029) and 5 bike (9030) hitch racks.